The holidays are a time filled with great expectations of joy and community, along with fears of potential chaos and stress. Visiting family members and friends are one of the highest ranked sources of holiday stress. The key to surviving the possibilities of mayhem is having a great plan. 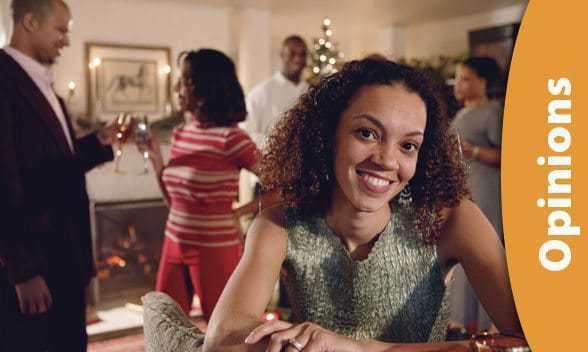 The following tips can turn visits from the in-laws, parents, other family and friends into stress less holiday guests. A lack of communication creates stress. Send out a newsletter to everyone expected to take part in the gatherings to inform them of rules and plans for the visit. Make sure to ask for special requests. Does anyone need special foods, physical challenges or things you should now about beforehand? Shower schedule, off-limit refrigerator items, phone use, etc. and put them in a public place. For guests to take a nap or read and activity rooms (to play a computer game or watch television). Guests will appreciate the thought you put into their needs. Have a plan in place for situations and stick to it. You can expect there will be unexpected situations arise. It is impossible to be grateful and stressed at the same time. Create an attitude of kindness and gratitude from the beginning and others will follow your lead. Be aware of how much time you spend with each person; don’t spend too much time with someone you have a negative history with. Short staccato visits are best. Too much time can open old wounds or create irritation, impatience, and arguments. People tend to live in their rear view mirrors. They live in the past and want to bring up old dead topics that create anger and disagreements. Keep the conversations in the present. It’s all about them. DO NOT REACT! Tis the season to be jolly, so make the best of it and enjoy the time you have with friends, family, and food. If you can de-stress this holiday season, people will notice and your festivities can be that much more fun.